It will have escaped few people’s attention that the UK is currently in the grip of an unprecedented housing crisis. We are facing the biggest housing shortfall on record, the cost of homeownership far exceeds the means of most first-time buyers, private rental fees continue to soar and there has been an almost 170% increase in homelessness since 2010 (based on official figures alone). The reasons behind these separate, but interrelated problems are, of course, incredibly complex. However, a key factor has been the chronic shortage of social housing brought about by privatisation; partly through the introduction of Margaret Thatcher’s Right to Buy policy in 1980, and partly through the systematic ‘transfer’ of social housing by government to private developers over the last 30 years. In 1980, 48% of the population lived in council housing; today, the proportion has fallen to just 8%. Against this current societal backdrop and in response to the context of its own new home, S1 Artspace’s upcoming exhibition couldn’t be more perfectly, nor boldly conceived. 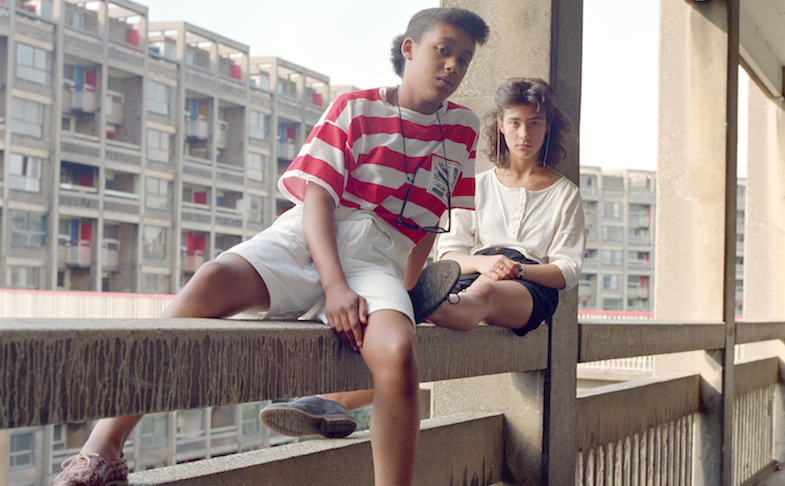 Love Among the Ruins is a direct response to the social history and politics of Sheffield’s iconic Park Hill estate (where the independent, artist-led studio and gallery space is now based), and its sister building Hyde Park. Both high-rise Brutalist landmarks were commissioned as part of City Council Architect J. L. Wormersley’s pioneering vision for social housing in the city, and reflected the wider government’s progressive post-war ambition to rebuild the country with homes where people could ‘live well’ rather than simply exist. Park Hill in particular was the largest and most radical housing project of its kind outside of London; the architects, Jack Lynn and Ivor Smith, adopting the French Modernist Le Corbusier’s ‘streets in the air’ concept in an attempt to preserve the sense of neighbourliness that already existed among the communities they were rehousing. A stark ideological contrast to today, when social housing residents are commonly being dispossessed of their homes, pushed out of city centres and, in many cases, scattered across the country – described by some as ‘social cleansing’. Love Among the Ruins is a reinterpretation of Streets in the Sky – an exhibition held 30 years earlier at the Untitled Gallery in Sheffield, which provided an insight into the sense of rootedness and connection to the architecture felt by many of the residents that lived there. It featured the work of two social documentary photographers: the great Roger Mayne, whose seminal images captured the energy and conviviality of life on the Park Hill estate at the time of its inception (1961-65), and Bill Stephenson, whose deeply moving portraits show the last remaining residents of Hyde Park in 1988 when the estate had fallen largely into disrepair and was being prepared by the council for demolition. Unlike Mayne, Stephenson spent eight months getting to know the Hyde Park residents and, despite the increasing deterioration of the fabric of the four towering, high-density buildings (based on a very different design to Park Hill), he found: “a close community reluctant to be broken up” and “did not meet a single resident who wanted to be rehoused.” Nevertheless, authorities judged the project to have been a failure and its fate became a microcosm of the changing attitude towards social housing and the welfare state in Britain, as the priorities of central government shifted away from social responsibility towards privatisation and home-ownership. After a similar period of decline, Park Hill, on the other hand, controversially became the largest listed building in Europe in 1998, and has since been developed into luxury flats, business units, student accommodation and – some, rather limited – social housing provision by property mogul Urban Splash, in partnership with English Heritage. In addition to Mayne and Stephenson’s photographs, Love Among the Ruins will also include a selection of rare documents and archival material, which, presented in the context of Park Hill’s starkly different 21st century reincarnation, should provide a fascinating perspective on the two architectural experiments. The exhibition’s intriguing title is taken from a 1953 satirical short story by the English writer Evelyn Waugh, which imagines a dystopian future Britain as the result of an overbearing welfare state. Such information brings an interesting new dimension to our expectations for the show. A liberal arts organisation, one would expect S1 Artspace to adopt a clear position of favour towards the utopian ideals underpinning both projects, yet perhaps more of a nuanced provocation awaits. Either way, we’re certainly looking forward to visiting S1 Artspace in its new premises, and encountering the Brutalist beauty of Park Hill once again.